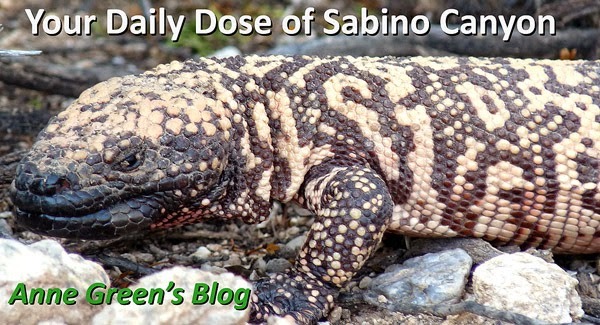 Your Daily Dose of Sabino Canyon: Four gems! If you haven't been to the gem show, Sunday is the last day for the original event. 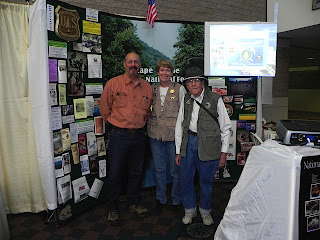 You may catch a glimpse of some gems from Sabino Canyon, including Bob Porter and Marge Kesler. The orange-shirted gem is Mike Hunerlach, USDA Mining Geologist and Region 5 Liaison, who also helped with the Forest Service booth.